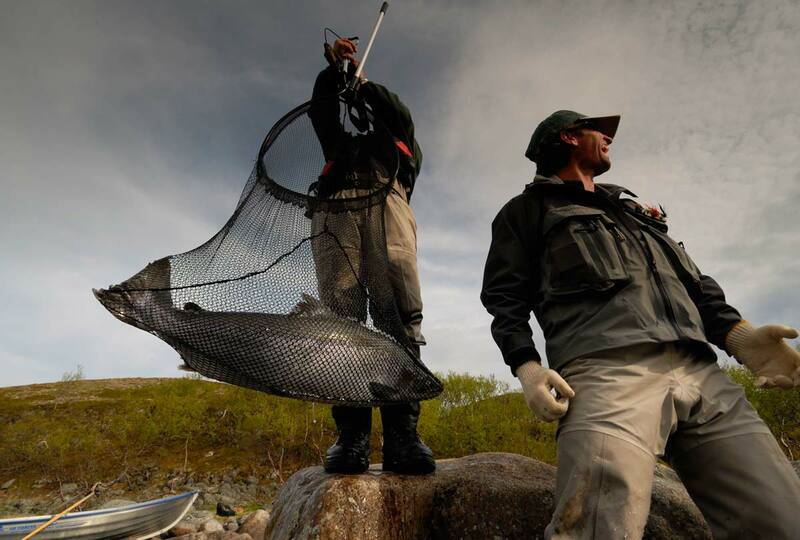 The Atlantic Salmon Reserve (ASR) is the world’s first conservation area for Atlantic Salmon, Sea Trout, Wild Brown Trout and Arctic Char. The primary aim is to sustain and develop the fantastic Salmon and Trout fishing within this area, whilst preserving and protecting this pristine and uninhabited wilderness for the benefit of future generations. The ASR is run by the Kharlovka Company. The “ATLANTIC SALMON RESERVE” is a registered brand name which, together with its accompanying logo, is used to describe the Atlantic Salmon and Wild Brown Trout fisheries on the Kharlovka, Eastern Litza and Rynda Rivers and the territory covered by their watersheds. All international sales are managed through Justin McCarthy. Contact justin@kharlovka.com or Telephone: +44 746 0292 170. The Company owns the fishing rights within the ASR together with two substantial Camp Lodges and two fixed Tented Camps. These facilities are able to accommodate up to 26 salmon fishers (with their own en suite bathrooms) and 12 trout fishers for a weeks holiday in relative luxury. 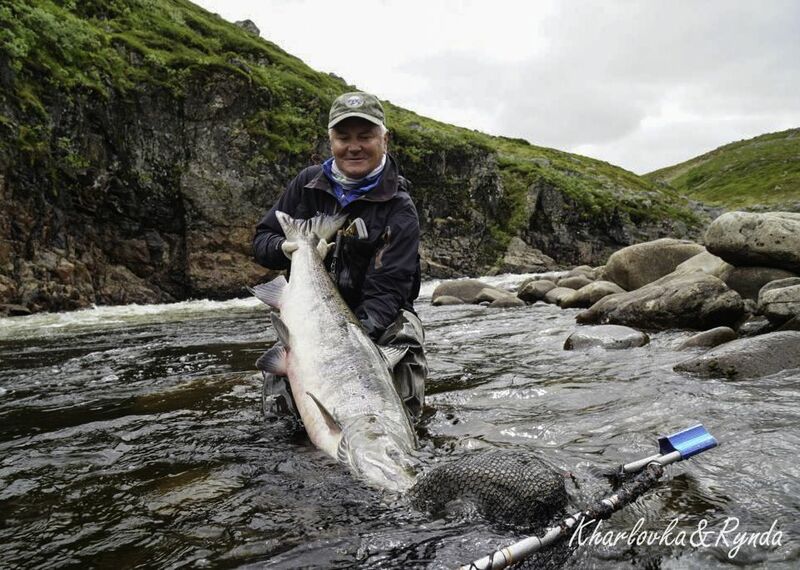 It is the largest sports fishing business in the Kola Peninsula entertaining approximately 400 guests for Atlantic Salmon and Wild Brown Trout fishing in Year. The company does not employ non-Russians and purchases all supplies locally. The Company uses its best endeavors to set the highest possible safety standards. It has commissioned a United Kingdom Standard “Risk Assessment” for both guests and staff alike. It has appointed official safety officers in the two fixed camps. They are Nikolai Baleev at Rynda Lodge and Vladimir Kulagin at Kharlovka Lodge. They are responsible for ensuring that fishing employees are properly trained in good guiding practice, helicopter deployment procedures and boat handling and that such training is recorded in the Safety Log Books kept at each camp and available for inspection.In particular they are responsible for ensuring both staff and guests are made aware of, and adhere strictly to, the safety-regulations.pdf. The Company employs a fully qualified doctor resident at Rynda through the season and on a 24 hour helicopter call up through the ASR territory. The two safety officers are responsible for ensuring that all guiding staff have been given elementary paramedic training by the doctor and entering the same in the Safety Log Books.